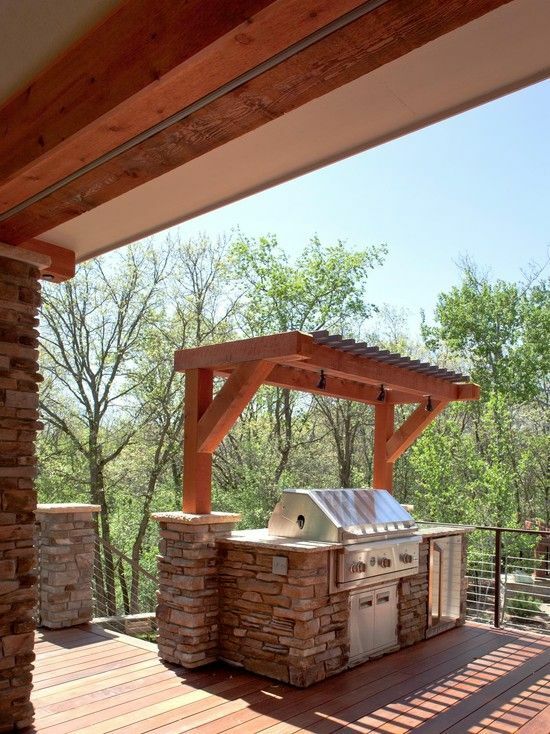 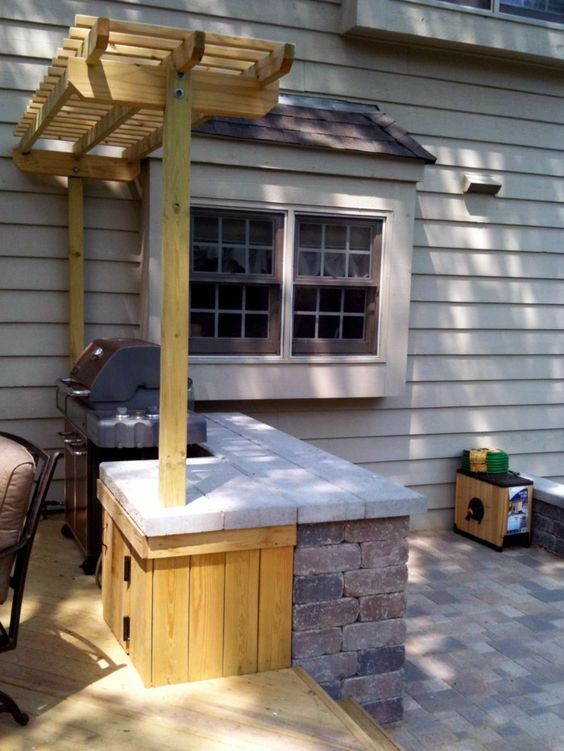 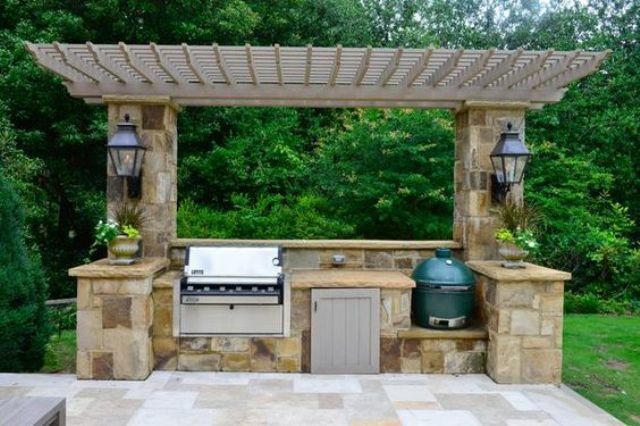 If you are BBQ fans and throw such parties nearly every weekend, you definitely need an outdoor kitchen or at least well-organized grill area. 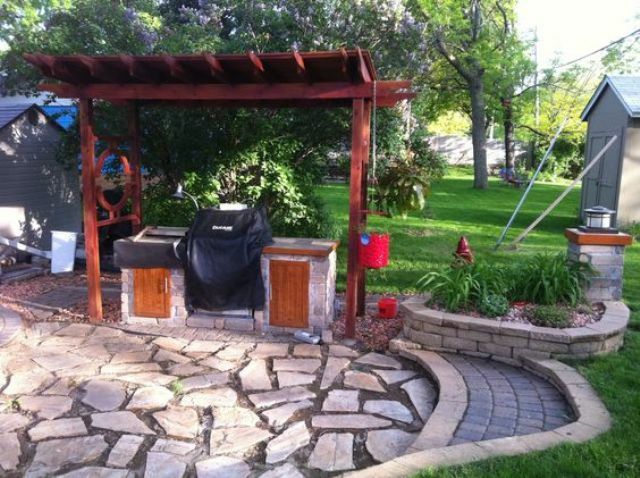 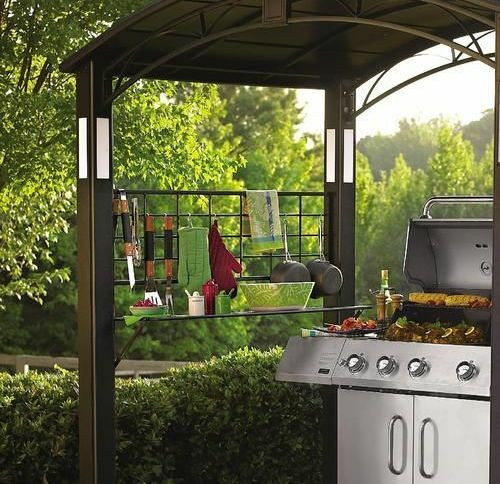 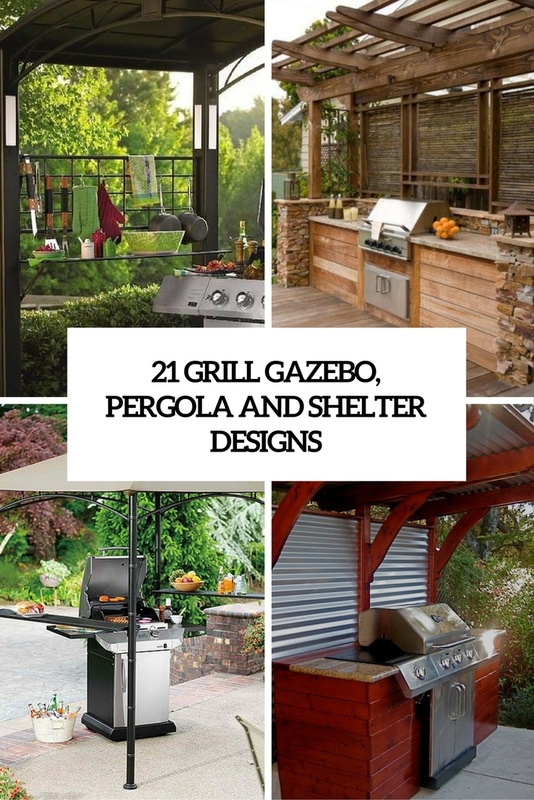 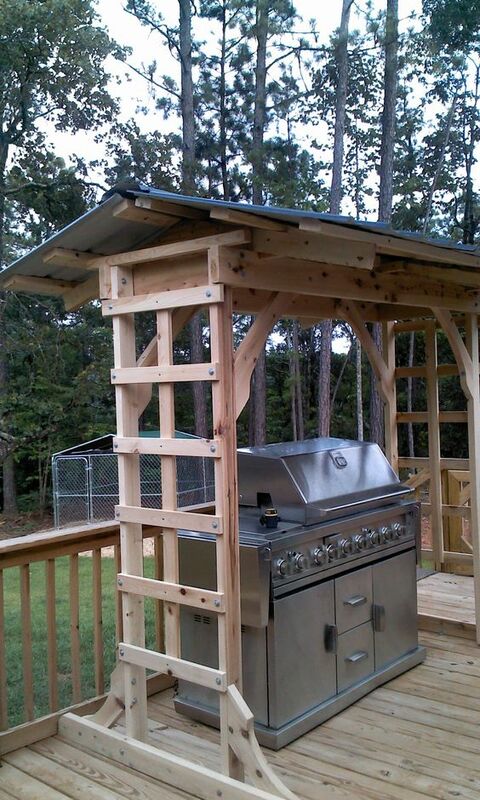 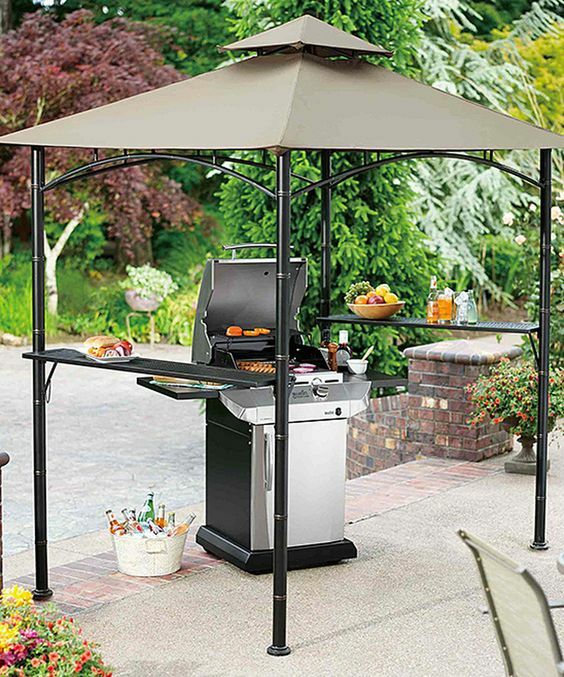 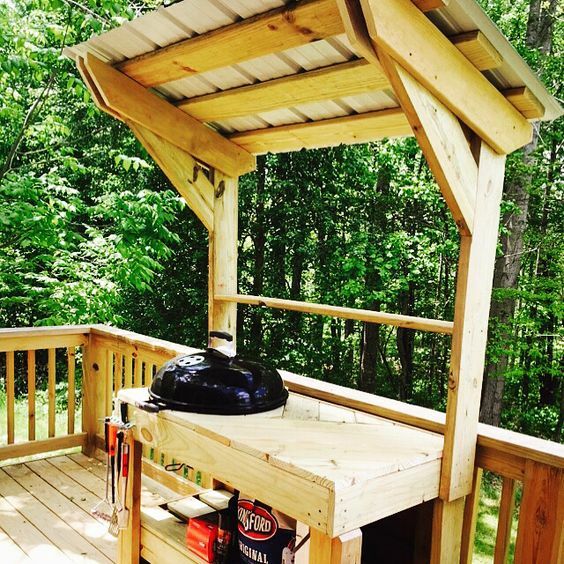 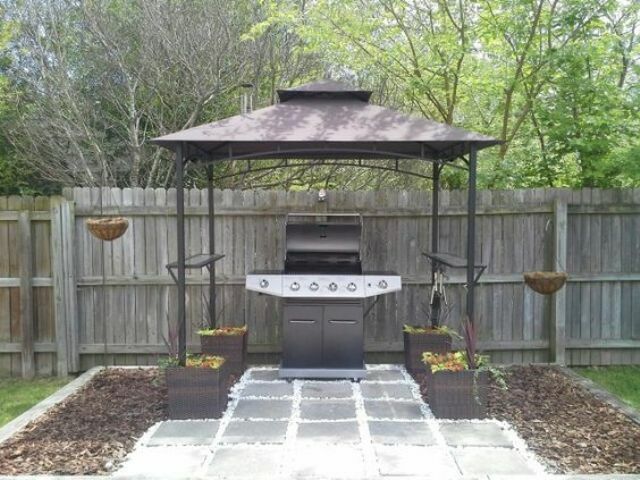 The most important point here is a grill gazebo, shelter or pergola – anything that you consider proper to cover the grill and defend your food from bad weather conditions in case they happen. 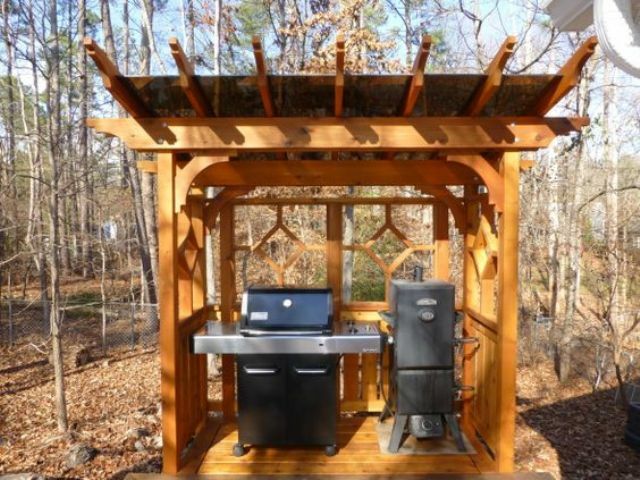 Gazebos are mostly freestanding and roofed along with partial or full walls, they can be made of wood, vinyl, or aluminum, but if you choose the custom route, you may see steel, wrought iron, concrete, and even stone. 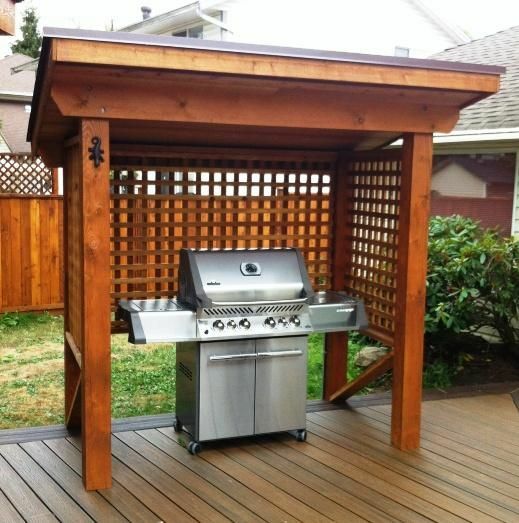 As for the shapes, you can find round, square, rectangular, oval, hexagonal, octagonal and others. 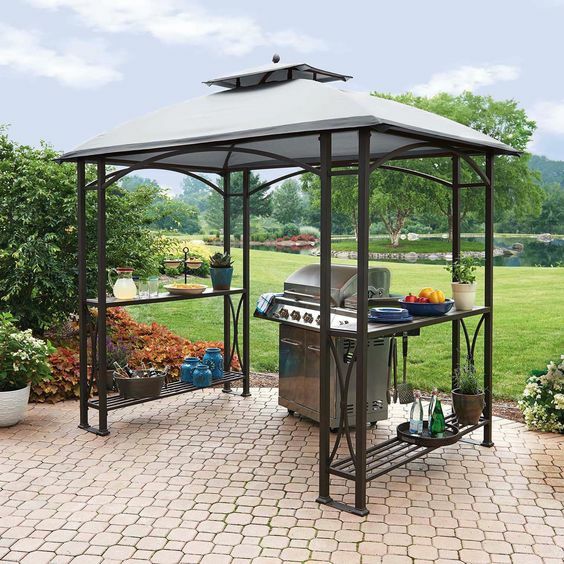 The good thing is that a gazebo is a very durable structure that will stay with you for years, and you’ll need to just renovate it a bit, especially if it’s a metal piece. 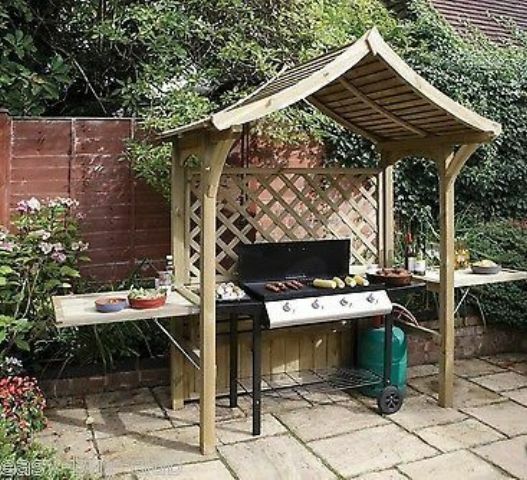 Gazebos often have shelves and grid to use them for plates and tableware, if not, you may add some. 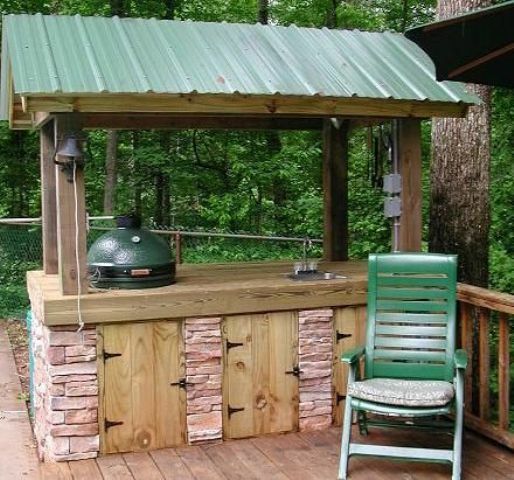 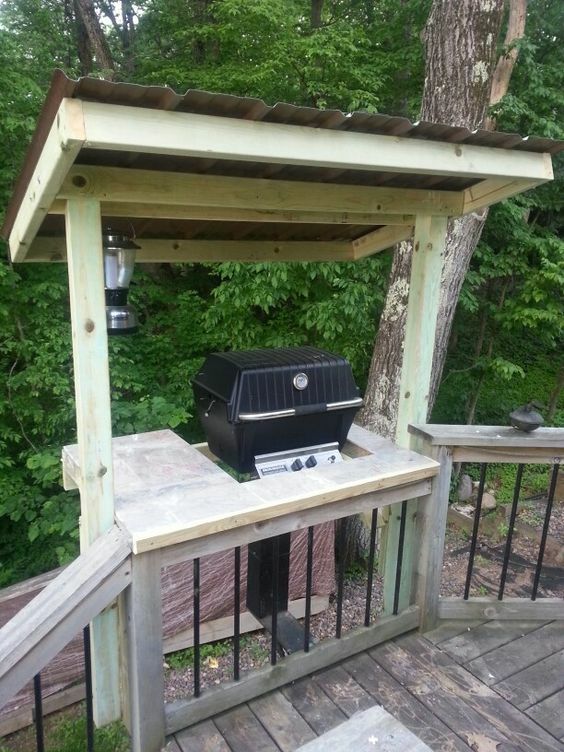 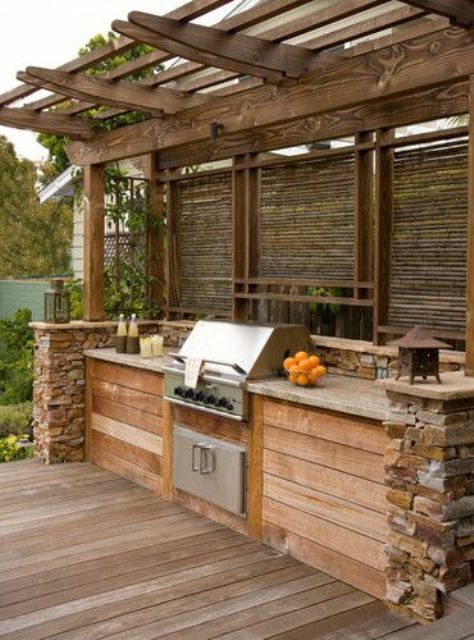 Pergolas are another option to cover your grill but be aware that a pergola roof is usually not so solid and more grid-like than a gazebo’s one. 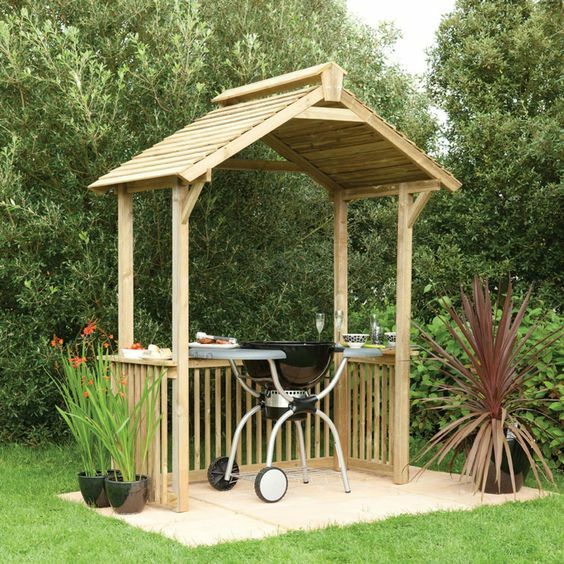 Pergolas are usually built of wood, so they look more airy and light than gazebos and they often have grid sides to use for climbing plants. 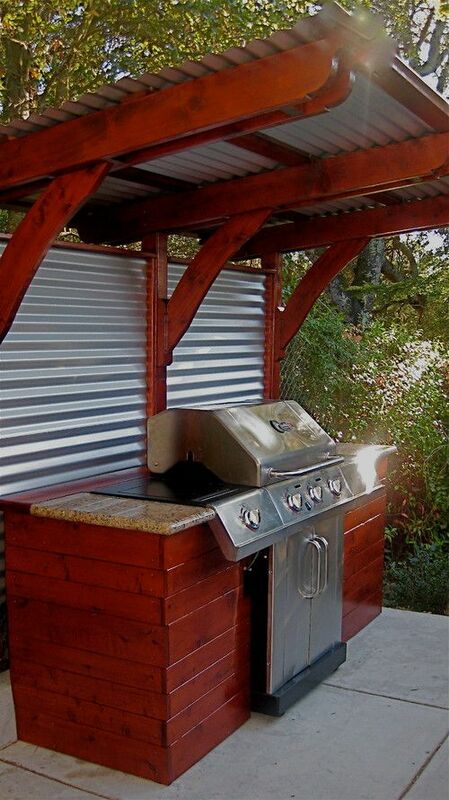 Storage solutions are optional, you may add some or leave as it is. 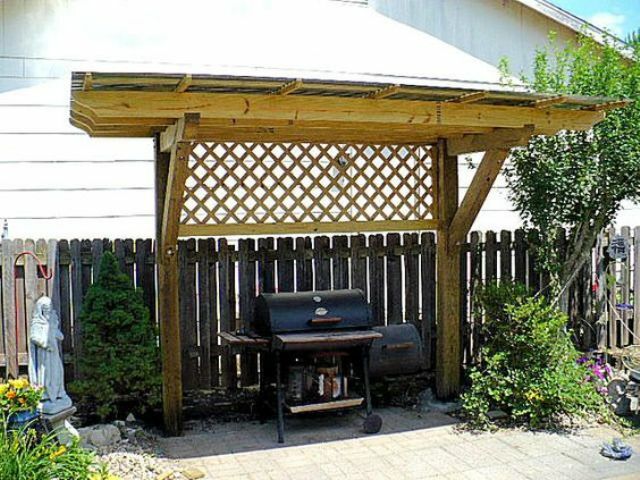 Covers and shelters are even simpler and you can easily build one yourself, no need to order or buy it. 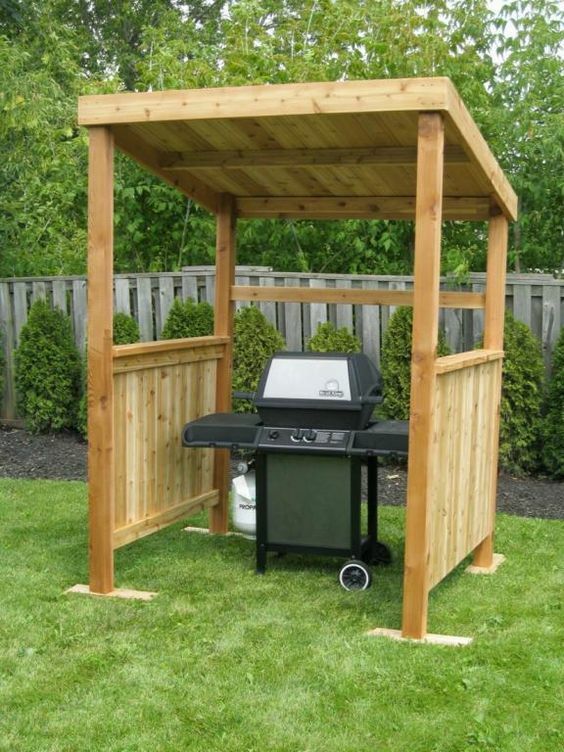 This is usually a simple wooden construction of a roof and two sides of any width and height, it’s up to you. 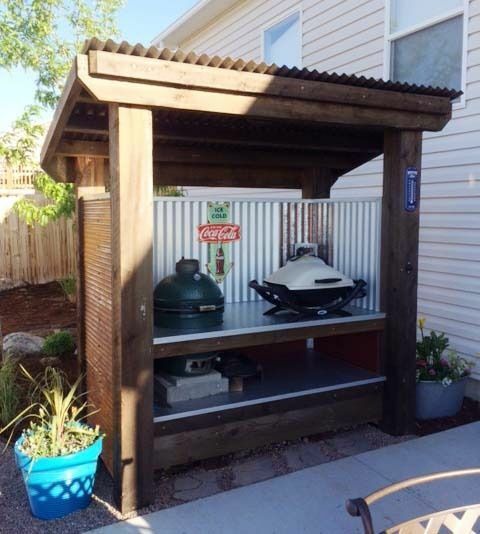 There are a lot of tutorials to make a shelter or a cover and you can add various décor elements or shelves for storage.